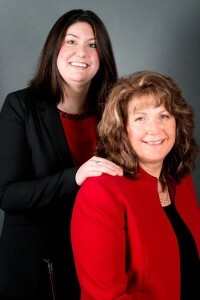 Cheri Wilkins (right) operates her real estate business with her daughter, Ashley DuVall. On Olympia’s west side, Van Dorm Realty is a perfect example of strong family values. Owners Jeff and Diane Pust were practically born into both the industry and the business; Diane’s parents started the firm 35 years ago. 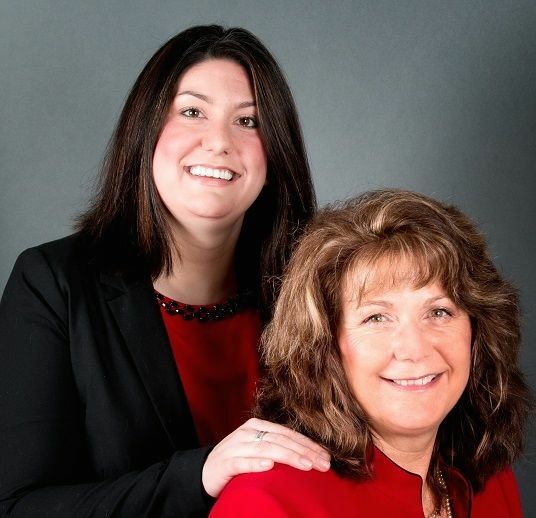 They now oversee a staff of more than 100 brokers, including mother/daughter team Cheri Wilkins and Ashley DuVall. Cheri has been in the industry for almost twenty years and joined the Van Dorm team in 2002. Ashley entered real estate and the Van Dorm family just two years ago. Cheri’s husband Jerry pitches in too, he’s their marketer, networking specialist, and behind-the-scenes lifesaver. Together they specialize primarily in residential listings and focus on helping two often anxious client groups: first time home-buyers and senior citizens. Even before recent tough financial times made such things a necessity, Cheri focused her career on the popular real estate trend of “right sizing.” As opposed to downsizing, Right-Sizing is choosing to buy a home that contains only the space you need and will use. “Simply stated, right sizing means making your home fit your lifestyle.” Whether you’re an empty nester with extra bedrooms or a Baby Boomer anticipating future physical changes, Cheri and Ashley can help figure out what space you require and find the house, grounds, and neighborhood that works best. While the Thurston County market is definitely on the up-swing, Cheri warns that there is currently low inventory so “if you want a house, you’ve got to be ready to jump.” Properties are selling quickly so they encourage potential buyers to make sure financing and financial paperwork is in order before viewings. With that the case, this sellers market means parties wanting to list their homes are a hot commodity. Cheri and Ashley encourage sellers that “the most important thing is to find an agent that will work the way you want them to; to find a professional who fits your needs because it can be a very stressful process.” Whether this is as simple as honoring your preference for phone versus email updates, the right agents can streamline an often nerve-wracking experience. You can contact Cheri either online here or by calling 360-943-3800. Ashley’s contact information is here. To visit in person, the Van Dorm Realty offices are located at 1530 Black Lake Boulevard in West Olympia. Stop by seven days a week to discuss buying, selling, or look through their many property listings. There’s a sense of security that comes from working with a family owned and run business. Next time you’re in the market, drop by Van Dorm Realty, you won’t regret it.